Established in 1994, Miya sushi was one of the first Japanese restaurants to introduce traditional Japanese sushi to Gainesville. Since then Miya sushi has become Gainesville local's favorite place for good times and great food. All our chefs share a passion for the restaurant industry, sharing delicious, creative quality foods for others to enjoy and socializing with locals and Gator fans visiting Gainesville from all over the world. Traditional Japanese and Korean recipes infused by our chefs' innovative, modern cooking style, Miya sushi offers one of a kind dining experience in the heart of Gator town. At Miya sushi, we pride ourselves in high quality fresh fish and innovative sushi creations, blending Eastern food ideas with Western tastes. Because we are locally owned and operated, we have a more intimate concern about our customers (most of whom are our friends and neighbors!) and would never sacrifice quality to make a dollar. All ingredients are carefully checked upon arrival by our knowledgeable chefs and we have no tolerance for questionable product. When you are dining with us, you can be assured that all your meals are prepared with freshest ingredients available. Whether it's formal business dinner or quick bite between classes, you will find that we have something for everyone and you will receive the same top class service from our skilled staffs every time. 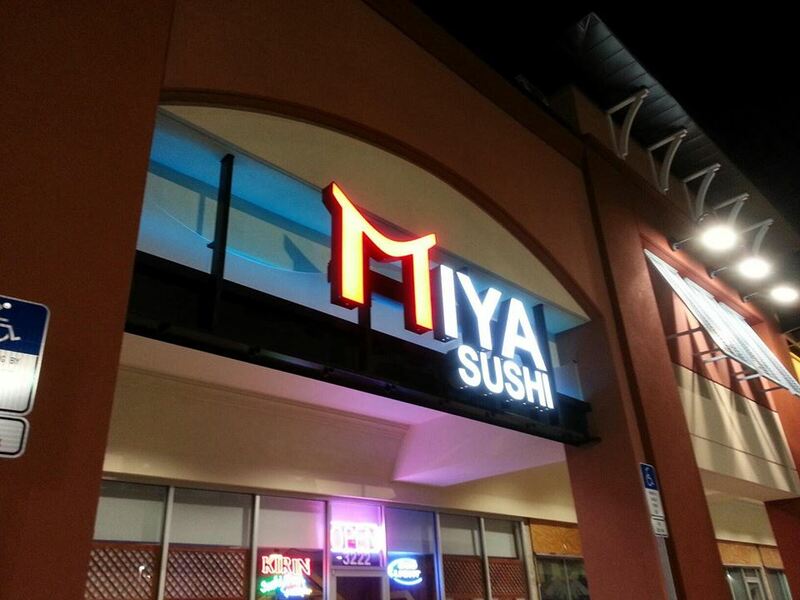 So, come and check out Miya sushi , where eating is fun again. Kan Pai!